When purchasing a designer watch, most people just give thought to what it’s going to look like and more importantly, how much it’s going to cost. These are important considerations, especially the price, as some luxury watches can cost tens of thousands of dollars. Still, there are other things to think about besides appearance and your bank account before you spend money on a quality wristwatch. One of the primary things you should consider is what sort of movement your watch will have. What is a movement? Quite simply, a watch movement is the mechanism that allows the watch to function. 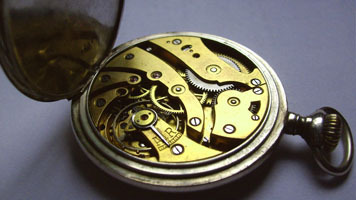 A description of the movement is a description of the way the timepiece works. There are essentially two types of watch movements used today, along with some subtypes and some hybrids. The two basic types are the mechanical movement and the quartz movement. Mechanical movement – Mechanical watches are the oldest type, and the mechanism is probably what most people think about when they consider how any timepiece works. Traditionally, a mechanical movement was powered by a spring that drives a series of gears, and eventually, the hands on the face that display the time. Developed over centuries of fine tuning, these mechanical devices have achieved a high degree of sophistication and are capable of maintaining accurate time as well as being capable of running for years or even decades with proper care. The use of small gemstones, or jewels, at friction points allows the devices to continue to work for long periods of time without excessive wear. Traditonally, mechanical movements have been powered by a spring which was wound by hand using the stem of the timepiece. This is still the most common type of mechanical watch, but a few decades ago, a semi-automatic mechanical movement was developed, also known as a self-winding watch. These timepieces are wound automatically, without user involvement, by using energy generated by normal motion of the wearer’s wrist to wind the spring. These watches will continue to run as long as they are worn daily; otherwise, they will wind down in a day or two without motion. For owners who have a number of semiautomatic watches, storage units, called watch winders, are available to automatically keep the timepieces wound and running so that the owner can wear them whenever they like without having to wind them or reset the time. Some extremely elaborate mechanical movements exist, with hundreds of parts which are often visible through transparent faces. These very limited and expensive watches are known as “grand complications” and some of them sell for hundreds of thousands of dollars. While mechanical movements were once strictly limited to those who could afford to purchase from dedicated craftsmen, modern production improvements have made mechanical watches everyday items that can often be purchased for modest amounts of money. The most famous manufacturers of mechanical movement watches are companies from Switzerland, who first refined the making of watches to a fine art. Many high-quality mechanical watches are also available from Japanese makers, such as Seiko. Quartz movment – Electronic watches, powered by small batteries, were first introduced in 1969 and today comprise the largest percentate of all wristwatches sold worldwide. These timepieces use a quartz crystal which oscillates at 32,768 times per second to regulate the time. While quartz watches were quite expensive when new, costing several thousand dollars in today’s currency, improvements in mass production, as well as a flood of imports from China, have made it possible to make crystal watches which retail for less than $5. 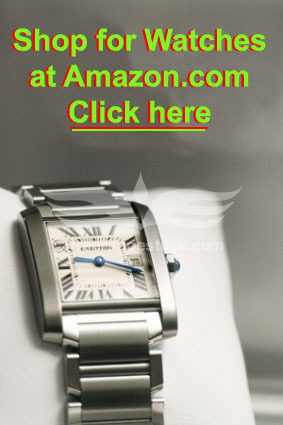 These are extremely accurate timepieces, which are usually accurate to within a few seconds per month. Most batteries are capable of lasting at least a year, and some watches can run for as long as a decade without the need to replace the battery. The quartz movements found in most designer watches are usually sourced from either Swiss or Japanese producers, though less expensive watches may use movements sourced from China. 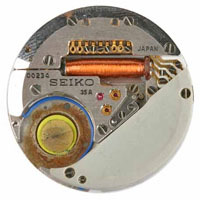 Hybrid movements – There are several companies which use hybrid movements in some of their wristwatches, such as Seiko’s Spring Drive. This appears to be a mechanical watch at first glance, as it needs to be wound, like traditional timepieces. The difference is that the spring in these devices doesn’t drive the gears directly; instead it is used to power a small electric generator which, in turn, powers a quartz movement. These devices were created to minimize the need for batteries, which must be disposed of when they run down, creating waste. Other companies have minimized the need for batteries by using solar cells to power the watch. Many of these watches have cleverly disguised solar cells that make it hard to tell, at first glance, that the watch is powered this way. What sort of movement do you need or want? That depends. If you wear your watch every day and want the absolute minimum amount of trouble, you should probably consider a high quality designer watch with a quartz movement. Many of them can run for years without the need to replace the battery. If you only wear a watch occasionally, a mechanical movement with either a self-winding mechanism or a manually would mechanism might be best. You’ll need to set the time and wind it when you first put it on, but this only takes a minute or so and then you’re ready to go. If you like mechanical movements but don’t want to bother setting and winding when you want to wear, or if you own multiple watches, you’d be best advised to buy a watch winder. That way, your timepiece is always wound, set and ready to go. If you’re a collector, you may prefer a mechanical movement, as these traditional designs seem to have a large appeal to watch collectors, particularly the grand complications, which are quite expensive but are also a wonder to behold. Of course, these decisions go hand in hand with pricing, as some mechanisms, such as the hybrid Spring Drive, are rather expensive at the present time. Quartz watches, on the other hand, can provide highly accurate timekeeping at a nominal cost, and if you’re only interested in an inexpensive timepiece that will keep accurate time, that will likely be your wisest choice.